Perkel , Colin . "Omar Khadr Case". The Canadian Encyclopedia, 17 August 2017, Historica Canada. https://www.thecanadianencyclopedia.ca/en/article/omar-khadr-case. Accessed 21 April 2019. Omar Khadr is a Toronto-born Canadian, captured by American soldiers after a firefight in Afghanistan in 2002, when he was 15 years old. The only minor since the Second World War to be convicted of purported war crimes, Khadr was imprisoned in Guantanamo Bay and Canada for almost 13 years in total. In 2010, the Supreme Court of Canada ruled that Khadr’s detainment violated “the principles of fundamental justice” and “the most basic Canadian standards about the treatment of youth suspects.” Despite repeated attempts by the Canadian government to keep him in prison, Khadr was released on bail in May 2015. In July 2017, he received $10.5 million in compensation from the government for Canada’s role in violating his constitutional rights. 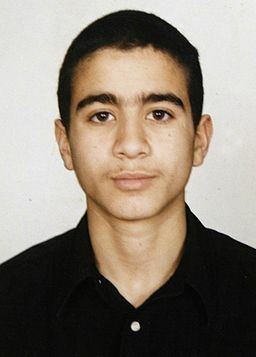 A teenaged Omar Khadr, pictured before he was captured by the US military. Khadr’s immigrant parents were Ahmed Said Khadr, from Egypt, and Maha Elsamnah, a Palestinian. His father worked for Muslim charities in Pakistan and Afghanistan and the family moved frequently between Canada and Pakistan, becoming friendly with Osama bin Laden, mastermind of the al-Qaeda terrorist group. Ahmed was arrested in 1995 in Pakistan in connection with a bombing of the Egyptian embassy, but was freed a year later. Ahmed was later a suspect in the al-Qaeda 9/11 terror attacks in New York and Washington, DC. In 2002, following the 9/11 attacks and the subsequent United States invasion of Afghanistan, Omar Khadr’s father sent him to Afghanistan to act as a translator. Later that year, Khadr, 15, was the only survivor among a group of militants in a firefight with American forces. Khadr was accused of throwing a number of grenades that killed US Sgt. Christopher Speer and blinded Sgt. Layne Morris in one eye. He later said he did throw a grenade, but did not know whether it was the one that killed Speer. The Americans moved their wounded captive to Bagram air base in Afghanistan for medical treatment and interrogation before transferring him in October 2002 to the notorious prison at the US naval base at Guantanamo Bay ("Gitmo"), Cuba. Khadr had just turned 16 and was one of the youngest prisoners ever held at Guantanamo. The Canadian government initially opposed Khadr's transfer to Guantanamo Bay. It also urged the US to take into account his juvenile status. The Americans ignored Canada's requests. For reasons that remain unclear, attitudes in Ottawa then hardened, and the Liberal government began playing down Khadr’s age. Some blame the “Khadr effect” — a chill that settled on Ottawa after Prime Minister Jean Chrétien, under pressure from the media and Ahmed Khadr's supporters, intervened in Pakistan in the mid-1990s to have Ahmed freed from prison. It was later revealed that Ahmed was a bin Laden associate and a purported financier for al-Qaeda. Omar Khadr’s situation was also complicated by a CBC documentary in March 2004, in which his mother and sister in Toronto expressed views sympathetic to al-Qaeda and critical of Canada. 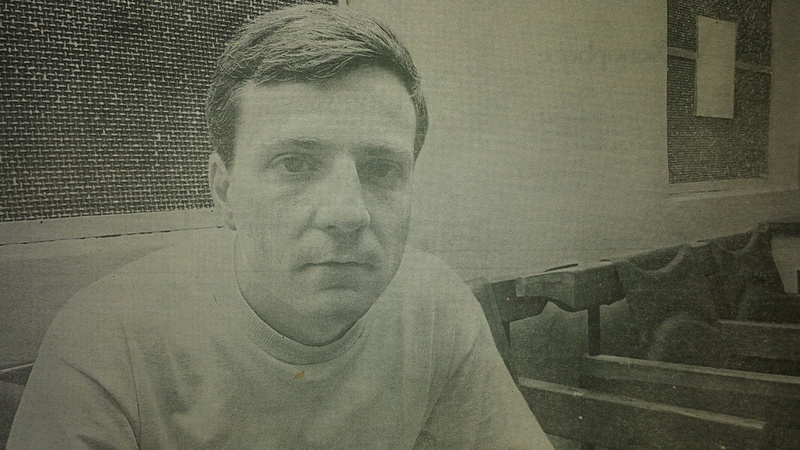 The documentary angered many Canadians and hardened attitudes toward the young prisoner, paving the way for thoroughly polarized public opinion on his case. Omar's eldest brother, Abdullah, was arrested in Pakistan in October 2004 at the request of the US Central Intelligence Agency (CIA). He spent more than a year in detention, where he said he was beaten, before returning without charge to Canada in December 2005. Abdullah spent another four years in prison in Canada before successfully winning his fight against extradition to the United States, which wanted to try Abdullah for arms trafficking for al-Qaeda. Omar's second older brother, Abdurahman, claimed to have worked for the CIA, while younger brother Kareem was paralyzed in a shootout with Pakistani soldiers in 2003. Their father Ahmed died in the same shootout. It would take years, several favourable court decisions, and tireless efforts by Omar's lawyers Dennis Edney and Nathan Whitling, before Canadians began to view Omar Khadr more favourably during his legal struggle against a new Conservative government in Ottawa, which cast itself as the only party that could fight terrorism. An Angus Reid poll in September 2009 found 52 per cent of respondents unsympathetic to Khadr. An Abacus Data poll in August 2012 suggested 60 per cent opposed his return from Guantanamo to Canada, while only 24 per cent supported it. However, an Angus Reid poll in May 2015 found that 67 per cent said Khadr should have been treated as a child soldier. In early 2003 and again in 2004, Canadian intelligence officials were allowed to interrogate Khadr at Guantanamo Bay on condition they shared the information with the Americans, who were preparing to prosecute him. The Canadians agreed. In an effort to soften Khadr up in advance of the questioning, the Americans subjected him to the “frequent flyer program” – depriving him of sleep by constantly moving him from cell to cell. Former Liberal foreign affairs minister Bill Graham would later say he regretted that Ottawa hadn’t pushed harder for Khadr’s release from Guantanamo. The Security Intelligence Review Committee, an intelligence oversight body, would say that Canada’s spy agency had failed Khadr by refusing to acknowledge his juvenile status or his repeated claims of abuse at the hands of the Americans. In 2008, the Supreme Court of Canada, over the objections of the Canadian government, ordered the government to turn over video of the interrogations. It was the first of three favourable decisions Khadr would win against the government at Canada’s top court. The video, some of which showed Khadr sobbing for his mother, caused a public outcry. In 2010, documents released by WikiLeaks, a private organization dedicated to publishing leaked secrets, showed the Canadian government had decided not to ask for Khadr's repatriation, even though other western countries had done this for their citizens imprisoned at Guantanamo. Also according to the leaked cables, the director of the Canadian Security Intelligence Service (CSIS) had said the release of Khadr's interrogation video would lead to "knee-jerk anti-Americanism" and "paroxysms of moral outrage, a Canadian specialty." In January 2010, the Supreme Court would again rule against the government, finding that the Guantanamo interrogations had violated Khadr’s constitutional rights. The court said the CSIS agents who participated in the interrogations "offended the most basic Canadian standards of detained youth suspects." The court barred Canadian officials from any further such questioning. However, the court refused to demand Khadr's repatriation. Ottawa’s response was to ask the US not to use evidence gleaned from the interrogations in its prosecution of Khadr. Following a visit by one of Khadr’s Canadian lawyers to King’s University College in Edmonton, some of the school's professors, led by Arlette Zinck, began corresponding with Khadr in Guantanamo Bay. They devised a special curriculum for him to follow and began tutoring him long-distance. After his transfer to prison in Edmonton years later, the tutoring continued in person. The school eventually offered Khadr a full-time placement he could accept after his release. 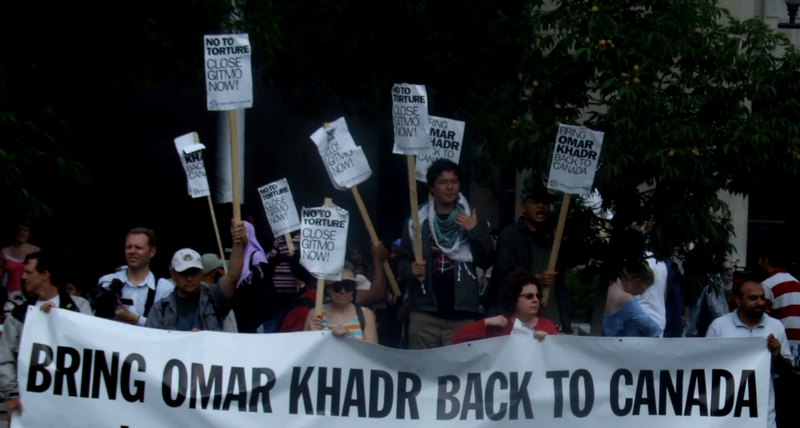 Demonstrators, seeking Omar Khadr's repatration to Canada from a United States prison in Guantanamo Bay, protest in Toronto in 2008. Groups such as Free Omar Khadr Now, and Amnesty International, also advocated for him. These groups criticized the federal government’s use of Khadr as a poster child for its tough-on-terrorism approach. They also chastised the media for referring to him as a war criminal, given the tenuous status of the US military commission that eventually convicted him. To prosecute what United States president George W. Bush called the “worst of the worst,” the US opted to bypass civilian courts and instead try Guantanamo captives, including Khadr, by military commission. The commissions were based on the well-known system of military courts-martial. However, human-rights and legal groups — even the United States Supreme Court — criticized the commissions for lack of due process and for criminalizing conduct retroactively. The commissions made no distinction between youths and adults, and their rules allowed for indefinite detention even after an acquittal. In October 2010, Khadr pleaded guilty before a military commission to five war crimes, in exchange for a further eight-year sentence. He signed a lengthy stipulation of facts in which he admitted killing Sgt. Christopher Speer, trying to kill Sgt. Layne Morris, and to being a member of al-Qaeda. 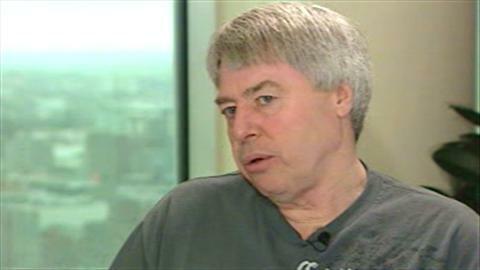 He would later say that the guilty plea, urged on him by his lawyers, was the only way for him to be returned to Canada. The US would have had the power to keep him at Guantanamo even if he had been acquitted. Khadr’s plea bargain said he could transfer to Canada to serve out the remainder of his eight-year sentence after one further year at Guantanamo. The Canadian government, prior to the agreement, indicated it would be favourable to such a transfer. But the year passed with no sign of his return. The Americans blamed Canada for dragging its heels. Canada suggested the Americans had failed to fill out the proper paperwork. Either way, Public Safety Minister Vic Toews finally signed off on the repatriation, and Khadr was transferred to Canada in September 2012 under terms of the International Transfer of Offenders Act. Canadian prison authorities immediately classified Khadr as a maximum-security prisoner, despite the fact he had been considered a minimum-security inmate at Guantanamo and one who had never caused any problems. He was incarcerated at Millhaven Institution in eastern Ontario. Khadr's maximum-security status — which determined his prison programming and his parole chances — was questioned by the federal prisons ombudsman, to no avail. In April 2013, the federal government, in an extraordinary intervention, overruled the warden of Millhaven to block an approved interview between Khadr and The Canadian Press. Khadr’s lawyers said it was part of the government’s strategy to demonize him as a hardened terrorist. The government would later argue the ban was for Khadr's safety and the security of the prison. Khadr was transferred to Edmonton Institution in May 2013, and then to Bowden Institution in Innisfail, Alberta in February 2014 as a medium-security prisoner. The prisons ombudsman again rapped the government’s knuckles for refusing to classify Khadr as a minimum-security prisoner. More than a year later, in April 2015, the Correctional Service of Canada classified Khadr as a minimum-security inmate. In September 2013, Khadr’s lawyers argued in the Alberta courts that the eight-year sentence handed him by the US military commission could only be interpreted under the International Transfer of Offenders Act as a youth sentence. (The military commission did not distinguish between youths and adults). Youth status would require the government to treat him as a young offender, and have him serve his time in a provincial facility. The federal government fought the application. It argued Khadr had received five concurrent eight-year terms and that four of them were adult sentences, so he properly belonged in an adult penitentiary. Although he did not speak, Khadr appeared in court for the arguments — his first public appearance since his capture. Almost a month later, Alberta Justice John Rooke sided with Ottawa. Khadr appealed. In a strongly worded decision delivered in July 2014, the Alberta Court of Appeal said Khadr's sentence could only be interpreted as a youth sentence. The federal government asked the Supreme Court of Canada to hear the matter, which it agreed to do. In an unusual twist, the country's highest court took just 30 minutes following oral arguments on 14 May 2015 to throw out the government’s appeal, confirming Khadr’s youth status under Canadian law. In March 2015, Khadr’s lawyers turned again to the Alberta courts to argue he should be freed on bail pending his appeal in the US courts of his war-crimes convictions. They argued that the appeal was dragging on and might not be dealt with before his sentence expired in October 2018. They also said the 28-year-old Khadr had long been a model prisoner. The government opposed the application. On 24 April 2015, Justice June Ross sided with Khadr. She ordered both sides back to court on 5 May to set terms for his interim release. On the morning of 5 May, the government sought an emergency stay of Ross’ decision to grant Khadr bail pending his appeal. Alberta Appeal Court Justice Myra Bielby asked for two days to consider her ruling, but said the two sides should appear before Ross that afternoon anyway, to hammer out release conditions. On 7 May, Bielby rejected the government's request for a stay. Within hours, Khadr was released on bail on conditions including that he wear an electronic tracking bracelet, and that he reside with his lawyer, Dennis Edney. In June 2015 Khadr’s appeal of his war-crimes conviction in the US was given a boost when an American civil court quashed the conviction of another Guantanamo Bay inmate, Ali Hamza al-Bahlul. The US District Court ruled that the offences for which al-Bahlul had been convicted were not war crimes at the time they were committed, and that the military commission therefore had no jurisdiction to try him. Khadr’s appeal is based on similar legal arguments, prompting his lawyers to declare that the convictions against him were all but quashed. The Khadr appeal continued as of July 2017. Khadr also sued the Canadian government for violating his constitutional rights when its agents interrogated him in Guantanamo. In 2014, a Federal Court judge allowed him to amend the $10-million civil suit he had launched in 2004. The revised, $20-million suit was allowed to include the allegation that Canada had conspired with the US to breach Khadr's constitutional rights. The government initially chose to defend itself against the suit. In 2017, the Liberal government of Prime Minister ​Justin Trudeau settled the Khadr lawsuit by apologizing to Khadr and compensating him for what Liberal cabinet ministers described as the "wrongdoing of Canadian officials…a Canadian citizen's ​Charter rights were violated; as a result, the government of Canada was required to provide a remedy." A formal apology was issued on 7 July 2017. Although the compensation amount was not officially disclosed, published media reports said Khadr and his lawyers received $10.5 million from the government. The settlement was highly controversial. Canadians, and several political commentators, criticized the government for awarding millions of dollars to a former terrorist. Many called on Khadr to give the money to the family of US Sergeant Christopher Speer — whose lawyers were trying to enforce in Canada a $134-million (US) wrongful-death judgment against Khadr, originally handed down in 2015 by a US court. Liberal government ministers said the ​Supreme Court's 2010 Khadr ruling meant that Ottawa would have spent millions defending against his lawsuit, with little chance of success. Therefore an apology and compensation were the best course of action. Some observers praised the settlement, saying it affirmed the rule of law and the Charter rights that should be available to all Canadian citizens. Conservative opposition leader Andrew Scheer denounced the payout, saying Canada's repatriation of Khadr in 2012 was compensation enough, and should have been an adequate response to the violation of his Charter rights.